SECRETS of Home Theater and High Fidelity was launched in 1994 as the first major publication offering serious audio/video journalism on the Internet. Our magazine, which began with the publication of the SECRETS Primer, is available exclusively on-line and offers to our readers an extensive information resource about home theater and high-end audio. For the first 14 years of its existence, SECRETS was published in standard HTML form, but in keeping with modern trends, as of January, 2008, the magazine has been published as a full database-driven website. SECRETS uses numerous CMS (Content Management System) modules which allow readers the best experience possible, including in-depth searches, submission of comments on reviews, and expanded content viewing. The SECRETS mission is to provide straightforward, technical information about new products and emerging technologies, along with music and movie reviews and special features including our video interviews with industry leaders. The SECRETS Forum provides an interactive means for our readers to discuss reviews, technologies, and questions. The forum is actively moderated by our Editor and staff. The Manufacturer's Corner on the forum is available to anyone wanting to post press releases about new AV products or industry information. The SECRETS A/V Resources Directory invites any A/V company to include company information and link their listing to their website. Additional promotional options are available to directory participants. Please contact us for further information. The SECRETS Blog offers a platform for our Editors to discuss relevant AV topics and current events and invites reader response. The SECRETS Primer has been transformed into an Encyclopedia of Words, Terms and Concepts. The Primer will be actively updated by our Editorial staff and Readers are invited to add additional technical information through our comment feature throughout the Primer. As always, everything that has ever been published by SECRETS over our 14 years of publishing, is available on-line through our SECRETS Archives. Announcement of addition of Co-Editors. The SECRETS readers are serious audiophiles and home theater enthusiasts, consumers, and manufacturers, who are seeking technical, yet understandable, information about products and technologies. Readership averages 300,000 unique readers each month and reflects a broad international following. January is traditionally the highest readership month, primarily driven by interest in the Consumer Electronics Show coverage. The Secrets team is made up of technical analysts from wide and varied educational backgrounds and interests, who provide unbiased reviews of product and in-depth technical articles. We have writers worldwide to reflect the enormous array of interests that pervade the field of Audio/Video. Developing the diverse staff membership has always been a top priority since Secrets first started publishing in 1994. Our writers include electrical engineers and computer programmers to compliment the need for a working knowledge of the high tech industries. John E. Johnson, Jr. , Ph.D.
Cynthia is responsible for Operations, Marketing and Public Relations. She holds degrees in Business Administration and Visual Design. She is currently based in San Francisco, California where she shares her home with a fat puppy and two well fed cats. Cynthia was introduced to a wide range and ever-changing array of audio and video equipment in her earliest years and has been involved in SECRETS from its inception almost 20 years ago. She enjoys the quiet side of music listening, and her equipment includes Sony CD player, OPPO Blu-ray player, Yamaha receiver, Krix speakers, Velodyne subwoofer, Sharp and Vizio displays, and Denon HTIB. Cynthia devotes much of her available time to animal care and is an avid practitioner of Bikram yoga. Chris' passion for audio began when he took up playing the bassoon at age 12. During his third year at the New England Conservatory of Music, he won a position with the West Point Band where he served for 26 years as principal bassoonist. He retired from the Army in 2013 and is now writing full time and performing as a freelance musician in Central Florida. As an avid movie lover, Chris was unable to turn away the 50-inch Samsung DLP TV that arrived at his door one day, thus launching him irrevocably into an obsession with home theater. Dissatisfied with the image quality of his new acquisition, Chris trained with the Imaging Science Foundation in 2006 and became a professional display calibrator. His ultimate theater desires were realized when he completed construction of a dedicated cinema/listening room in his home. Chris is extremely fortunate that his need for quality audio and video is shared and supported by his wife of over 25 years. In his spare time he enjoys riding his recumbent trike at least 100 miles per week, trying out new restaurants, going to theme parks and spending as much time as possible watching movies and listening to music. 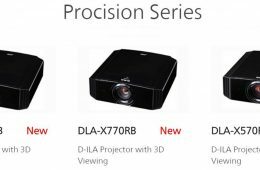 Chris enjoys bringing his observations and discoveries about every kind of home theater product to as many curious and well-informed readers as possible. He is proud to be a part of the Team and hopes to help everyone enjoy their AV experiences to the fullest. As a kid I wasn’t frugal with money, but so glad my brother was. He worked and saved to buy audio gear that I was able to enjoy. I was hooked on hifi. When I graduated from college, I rewarded myself with a pair of KEF speakers and a Denon Turntable and amplifier. They were my prized possessions. 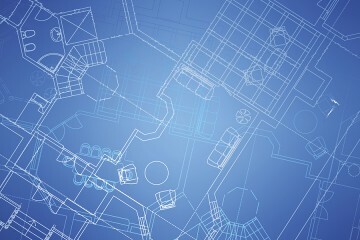 Today as an architect, my passion for music and film match my joy for architecture - art is art. Involved with Secrets for many years now, I’m able to enjoy some great gear and I do love it all, analog (vinyl and tubes) and digital (high-res and solid state). My approach to reviewing is with an openness and unbiased enthusiasm as I do think the art of high fidelity is subjective. Whether you believe the goal of hifi equipment is to capture the quality of a live performance or to faithfully reproduce the artist’s studio recording isn’t relevant, it’s the pure enjoyment at all levels that matter. Robert Kozel is a veteran IT professional living in Cleveland, Ohio. He has a Bachelor of Science degree with a double major in Computer Science and Mathematics from John Carroll University. His interest in home theater began back in the early 90’s with the purchase of a Yamaha Dolby Pro Logic surround sound receiver and an unassuming CD player. That receiver sparked a passion for music and movies that has lasted ever since. He prefers solid performance and quality in his equipment and is not easily won over by the latest marketing feature. Reading the Secrets' DVD benchmark articles inspired his appreciation for the analytical side of home theater. To provide an empirical perspective in his reviews, he adds analytical measurements to his personal observations. These measurements present a baseline for comparison between products. Ultimately for Robert, home theater is about enjoying the beauty of music and movies. He hopes that his reviews offer readers an understanding of what they might expect from a product and whether it might be a match for their current system and unique personal preferences. When not working with technology or enjoying music or a good movie, Robert enjoys hiking, cycling and travel. Chris Groppi is a radio astronomer and electrical engineer working as an assistant professor at Arizona State University. He received his Bachelor's degree in astronomy from Cornell University in 1997, and his Ph.D. in astronomy with a concentration in electrical engineering from the University of Arizona in 2003. He studies how stars and planets form, and designs and builds millimeter-wave and terahertz receivers for radio telescopes. He became interested in HiFi during high school the first time he listened to a real high-end system (B&W 801s with Mark Levinson electronics). His first system in college was a Headroom headphone amplifier powering Sennheiser HD 580s, and graduated to a real HiFi system in graduate school. His first love has always been 2-channel audio, although his current system has added home theater capability. David A Rich received his MSEE from Columbia University and Ph.D. in Electrical Engineering from Polytechnic University of NYU. He specializes in analog and mixed-signal integrated circuit design, with a portfolio spanning from audio ICs for Air Force One to RF ICs for wireless cell phones. Holder of fourteen patents, David's industrial experience includes ten years at Bell Laboratories where he rose to Technical Manager. He has taught graduate and undergraduate courses in integrated electronics and electro-acoustics. David's interest in audio began very early under the influence of his father, who was a recording engineer during the halcyon days of RCA Records. He gained an early understanding of electronics building Echo, Heath, and Dynakits. At the start of quadraphonic sound, David was building decoders based on designs in Popular Electronics. During his teen years, he spent more time in the back of TVs than watching movies at the front of the set. He still has limited interest in things video. David has been a professional reviewer of audio equipment for more than two decades, serving as Technical Editor for The Audio Critic and Sensible Sound. He is a member of the Audio Engineering Society High-resolution Audio Technical Committee. Collecting classical recordings has been a passion that has run concurrently with involvement in audio hardware. David has a special interest in early- and mid-20th century American tonal composers. He is an avid fan of chamber music and leads the Selection Committee for the Bethlehem (Pennsylvania) Chamber Music Society Concert Series. Jim Milton has been interested in high fidelity since his college years in the late 70's. It was there that he first became interested in classical music. He has been part of choral music, both in opera and oratorio and is an avid collector of classical music from the Baroque through the Romantic periods. He enjoys an occasional night at Boston Symphony Hall or attending an organ concert at Merrill Auditorium in Portland, ME. Currently he is the director of Nuclear Medicine at the North Shore Medical Center, located just outside of Boston. He also serves as an adjunct professor for Salem State University where he teaches a course in nuclear instrumentation. During his leisure time, he enjoys listening to his music collection and an occasional movie with his wife of 30+ years. Living on the longest stretch of sandy beach north of Boston offers him plenty of opportunities to take a relaxing stroll or soak up some sun. "Remember, acquiring good A/V gear takes lots of time...but doesn't necessarily take lots of money." Stacey Spears is a widely recognized expert on the science of color in video, best known for his work with Don Munsil. Stacey has co-authored many high profile articles on video decoding, image processing, and deinterlacing. The Spears and Munsil calibration discs are widely regarded as the definitive tests for a range of video formats. Spears and Munsil were also the first to publicly document and explain the now infamous chroma upsampling error in a variety of decoders. They published their findings in Secrets of Home Theater and High Fidelity years ago. Stacey led a number of development efforts for sixteen years at Microsoft before being recruited by SpectraCal, including significant contributions to the Xbox, Smooth Streaming, VC-1, and Media Foundation. He holds over a dozen patents in video and image processing, including “Strategies for producing quantized image information” (2007), “Image processing using linear light values and other image processing improvements” (2007), “Strategies for performing scaling operations on image information" (2008), and “Regions of interest for quality adjustments” (2012). Stacey is currently a Senior Editor at Secrets, specializing in Video Technology. Doug Pyper has been a home theater enthusiast since childhood. Growing up in England, UK, his first experience of home surround sound was at his local hi-fi store when he stumbled upon a demo of Jurassic Park on Laserdisc. The home theater bug bit him then and there. He subsequently worked in the AV industry, installing hi-fi and home theater systems during the advent of plasma television. Following that he studied law and was called to the Bar of England and Wales. He now works for the UK Parliament, although carries on his interest in AV in his spare time. His current system comprises an Anthem pre pro, Arcam amplification, XTZ Cinema Series speakers and dual 15” DIY subs. Francisco grew up in the west Texas town of El Paso and developed an early crush on audio systems when he was a young teen listening to the great masters (King Crimson, CNS&Y, Jethro Tull, Blind Faith, and of course the Beatles). He built his first pair of good loudspeakers in his family's garage during high school as part of a drafting project (a large bass reflex enclosure for Electro-Voice 12" coax). Francisco's higher education was nourished at UTEP (where he received a BA in Drama) and later in life at UTSA (he received a Masters in Educational Leadership). During his college years he discovered theatre and worked as a teacher and performer in improvisation and mime and also DJ'd for a Jazz and Classical radio station. Francisco resides in San Antonio, Texas with his wife, son, and dog and teaches Theatre Arts at Tom C. Clark High School. In his spare time he plays guitar and harmonica and sings. Thanks to the River City Audio Society of San Antonio, Francisco's passion for High Fidelity and music has found a new outlet. As always though, music is what matters and to that end he has enjoyed the LP renaissance especially with so much now available to the music lover in different formats. You know, it makes an old guy feel young all over again! Gene Hopstetter has been collecting records since 1981, when he walked into a record store and spent $36US on every AC/DC album he could find. He also ended up sending cash-stuffed envelopes to Australia to addresses in the back of music magazines to get more AC/DC albums. He continues to this very day to exhibit that same sort of behavior to find records. In high school in the mid-1980s he landed a job as a stockboy in a local Hi-Fi emporium, which is when his HiFi journey began. When not unboxing Sony TVs he recorded MFSL albums to cassette on their Luxman components and AR turntables. This is where he first heard a Compact Disc, on a Sony CDP-101, but he resisted the temptation to sell all of his vinyl. He has always had a record player and vinyl in his life. His insatiable thirst for new music led him to join the staffs of two university radio stations, where he got involved with local music promotion and album production. And he still can’t believe he got paid to listen to records. Gene was born and raised in New Orleans, where music and food were invented. He earned degrees in Creative Writing and Journalism from LSU, which he somehow manages to use in his current career as an IT professional. His current system is mostly vintage: McIntosh MC30s, MC2505 and C28, 1977 Klipsch Cornwalls, a cream Garrard 301 with two tonearms, an Audio Research Corporation SP-6B, with an Oppo BDP-105 for silver discs and digital streaming. Several turntables and 1970s receivers are in varying states of refurbishment as well. He also two Playstation 1 consoles which are surprisingly good CD players, a fact he finds endlessly hilarious. Glenn became involved with audio electronics and speaker building under the tutelage of the station engineer for the local public radio station in Baton Rouge, LA. During college, he earned pocket change by modifying Dynaco and other vacuum tube electronics. When the compact disc came out, he (foolishly) sold his vinyl collection and spent the next decades trying to recover the magic that was lost. Finally, with the implementation of hard-drive based digital music files, the joy of music has been "recovered". Glenn's daughter inherited his love of music and completed her bachelors and masters degrees in violin performance! Glenn is a safety consultant and continued to pursue better and better home audio and home theater performance. Although he has not enjoyed vinyl for many years, he is still of the opinion that only the very best digital systems can compete with a good phonograph record. Glenn's musical tastes are very broad…. electronica (Lords of Acid, Republica, & African Head Charge), popular music (including Lady Gaga, Katy Perry & LMFAO), small ensemble music (Atlantic Brass Quintet and the Academy of St. Martin in the Fields), large orchestra music, vocalists, jazz, rap and anything not heard before. 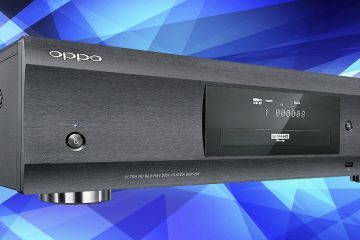 His A/V environments are constantly changing, but include multiple brands of speakers, power amplifiers, preamplifiers and DACs along with his Oppo BD93. Jared has worked as a Hearing Instrument Practitioner for the past 5 years. This has provided him with a great understanding of the human hearing system and room acoustics. He has been fascinated with music reproduction and stereo equipment since his father allowed him to mess around with his Pink Floyd records and HiFi setup as a child. His musical taste is often described as weird by his wife and has been greatly influenced by his three older brothers diverse musical selections. He is probably the only reviewer ever to use both The Melvins and Norah Jones in the same listening session. His hometheater includes DIY open baffle speakers from RAW Acoustics, Surround speakers by Paradigm, a DIY Adire Audio subwoofer, Marantz surround sound processing and amplification, an Optoma DLP Projector and 92" screen with a Oppo Digital player for both multichannel music and movies. Jason Crawford is a freelance writer from Georgia currently residing on Nob Hill in San Francisco. Some folks find it odd that his hair grows sideways. His interests are far-reaching and varied, from horseshoes to whole foods. He does not like lettuce. Jason may have little formal training with regards to writing, but he talks a lot and writes like he speaks. (Editorial Comment from the Editor of SECRETS: we are honored to present the work of a musician who not only knows of what he talks, but who can put-it into-words"¦. . ) He is also a songwriter who sings, plays guitar, piano, mandolin, bass, and harmonica - not simultaneously. Jason is a dedicated fan of rock 'n roll, and would rather remove his ears with a rusty, dull blade than subject himself to what is on the radio today. He also enjoys traditional country, old jazz, big band swing, hip-hop, rhythm and blues, and gospel which he listens to on Sunday while he cooks breakfast. Feel free to contact him through this website any time if you would like to talk about music. He'd love it if you did. Jay is an attorney by day, and a musical omnivore by night. Jay seeks out multichannel recordings, with or without video accompaniment. He also enjoys 2-channel music on digital and vinyl, as well as TV and the odd flick. Jay picked up his love of music from his mother, who was cool enough to go to Woodstock…but square enough to actually buy a ticket for it. Jay approaches audio and home theater from a music-first perspective. His main interest audio-wise is gear that pushes the boundaries of realism in the home, especially speakers and room correction systems. However, he is also very interested in products that expand the possibilities for music lovers on modest budgets, and gear designed to provide a well-balanced sound in spaces where a full-bore audio system is impracticable. Jay has a special interest in correlating subjective impressions of speakers and room correction systems with acoustic measurements. A Washington DC native and die-hard Washington football fan, Jay lives in Atlanta (ITP) with his wife, daughter, and their two ferocious mini-lions. Kieran first got into home theater around the age of 12, when he would take his Dad's "good" speakers, pre-amp and amp from the living room, and hook them up in the TV room to watch movies in hi-fi stereo on the family's Sony Betamax. He also developed a love of music at a young age, and as a classically trained tenor has performed in numerous choirs and stage musicals throughout high school, college and beyond. Kieran's interest in science and technology led to a career as a mechanical engineer spanning the aerospace and telecom industries. After returning from graduate school he now works as a biomedical engineer designing life-saving medical devices. Kieran enjoys researching and explaining science and technology to people, and has a passion for finding the best affordable HT & AV tech. When not working, studying, tinkering, or being a husband and father, Kieran loves to ride bikes (mountain and road) and to row crew boats competitively. Mel spent most of his life working in television journalism in Ohio, Florida, the BBC in London, and in Seattle, WA. He won a few EMMY awards along the way which most people mistake for bowling trophies. Being around all those expensive monitors frustrated him when he got home to his threadbare TV and stereo, so he began to improve things, brand by brand, upgrade by upgrade. He’s got a lovely OLED TV now, flanked by Magnepan 3.6r speakers, and a Home theater with an Epson Projector and Focal speakers. Also scatted about the house are HiFiMan headphones, and 6 Sonos Connect devices that are spraying his rather large music collection from room to room. Other equipment is from Oppo, Sony, Aurender, PS Audio and Emotiva. Musical tastes range from Classical to Jazz to New Age to classic Rock and Roll. Mel has written a biography of film producer Samuel Bronston (El Cid, King of Kings) and is working now on a second film related book. He resides in Arizona where, when he’s not adjusting his home theater, he dabbles in landscape and astronomical photography. Mike was unexpectedly lured into hifi as a 10 year old when he first spun the vinyl of Pink Floyd’s Dark Side of the Moon. Intrigued by the album cover and inserts, he wasn’t aware that he’d find a connection with music through stereo sound and atmospheric effects. Finding similar music to enjoy and a great stereo to play them on became a new quest for his young, moldable, budding audiophile mind. The laserdisc player later converted him to a videophile too, and he was determined to earn his ISF certification while working at a HiFi shop that was paying his tuition. It was here where high fidelity audio and video collided at full force; video calibrator by day and music lover by night (and his studies whenever he could fit them in). He continued to work at various HiFi shops once graduated with his B.A. (Hons) in Political Science and Anthropology at McMaster University in Hamilton, ON. The dream of becoming a politician or an archaeologist soon faded into oblivion. After receiving M.Ed. at Daemon College in Amherst, NY, Mike changed his full-time career path to teaching but remains ever-present in the audio-video community in Ontario. As a highly active and respected THX/ISF calibrator, Mike has contributed articles to Canada HiFi Magazine and can still be found speaking at video seminars, measuring product performance for manufacturers, and performing calibration work for both consumers and Toronto’s post-production community. He has a strong commitment for video performance with an emphasis on measurement but understands that you can’t get blood from a stone, especially when most environments are compromised. It’s not all about pretty looking graphs, it’s about making good pictures. Rick has been into audio ever since 9th grade when he commandeered a Pioneer receiver and Celestion speakers that his dad received in trade for a rusty station wagon. The stereo's original owner was forced into the deal by his newly pregnant wife. Hopefully that kid was re-exposed to hifi at a later date. Rick went on to make many extravagant stereo and home theater purchases of his own, not to mention LP's, CD's and DVD's. All financed by Rick's job as an engineer and engineering manager deep in the computer industry (ASIC design). When he's not listening or watching he might be working on the next screenplay for GenerosityFilms or painting. Robert's passion for audio was awakened at an early age by his father's purchase of a pair of original VonSchweikert Audio VR-4 floor standing speakers. Much like wine lovers (himself included) remember that first "Ah ha!" moment when they try their first "great" wine tastes a wine icon, this was his "Ah ha!" moment in audio. From this point on he was on a quest for what he considers "Audio Truth", a belief that the ultimate reproduction of sound is to produce the identical auditory experience as if it were live, without coloration, enhancement, refinement, or other influence imparted by audio equipment. As he has not found this "Audio Truth" yet, he has decided to share this quest with others by writing about it. Robert's reference setup includes a custom built "floating" room using the Cardas "Golden Ratio" for dimensions specifically designed for audio evaluation. His gear includes an Oppo BDP-105 Blu-Ray player, Jolida Glass FX tube DAC, Marantz AV 8801 pre/pro, Marantz MM 8077 multi-channel amplifier, Sony 1080p VPLVW60 Projector, and Stewart Filmscreen 130 Reference Screen. For home theater speakers, he has Definitive Technologies CLR2500BK 150 watt speaker for the center channel, Definitive Technologies BPXBK speakers for side and rear surrounds, and Definitive Technologies 1,500 watt SCIBK Super Cube Subwoofer all connected via 14AWG x 4 speaker cable. The front two channels are heavily modified Von Schweikert VR-7SE MKIIIs, with 4" thick cabinets, custom milled speaker isolation spikes powered by a Channel Island Audio D-500 MKII monoblocks on dedicated 20 amp lines direct to the breaker box. The VR-7's are connected to the Marantz pre/pro (in Home Theater bypass mode) via Mogami quad star balanced ICs, and to the CIA monoblocks via "shotgun" Master Built cables. Hailing from Toronto, Canada, Taps Das is an art director and designer with over 14 years of experience in advertising, branding, digital, packaging, apparel, and production. He has way too many hobbies: Illustration, music production, cooking, djing and high fidelity. His adolescence was spent immersed in dj culture in Toronto’s then burgeoning club scene. He still buys vinyl to this day preferring it as his medium of choice when listening to music. He is happiest when he’s tucked inside his studio spinning vinyl on his turntables, sitting at his desk drawing or in the kitchen cooking up a storm. Taps shares a home with his wife, daughter and two dogs. Todd resides in Columbus, Ohio, and owns a world-renowned auto detailing / product sales / professional training company specializing in Ferraris and other exotic brands. Over the years, he has published hundreds of articles about the fine art of detailing, and enjoys educating and inspiring others to take the craft and business to new heights. The same passion (sickness?) that motivates one to spend 40 or 50 hours polishing a car to perfection is also responsible for Todd’s lifelong pursuit of audio and video nirvana. As a teenager he worked in his local electronics store where he got his first introduction to high fidelity, at which time the chase down the rabbit hole officially began. His first “high end” system consisted of NAD electronics and Phase Technology speakers. During that time of modest budgets, he continued to frequent high-end audio shops around the country and even in the Akihabara district of Japan as he searched for the reference in audio equipment by which all else is measured. Now after years of auditioning, reading, and studying the audio and video industry, he has assembled a few very nice systems in his house that he can enjoy on a daily basis. While ever-evolving, he currently has a house-wide Control4 based system with 7 video zones (wired for 9), and 5 audio zones (wired for 9). His main theater / audio room is a hybrid of two different systems…one being a 2.1 system featuring a Pro-Ject turntable, Sutherland 20/20 phono pre, Pass Labs XP20 pre-amp, Pass Labs X250.5 Amp, JL Audio CR-1 Crossover, Revel F208 mains, and a JL Audio F113 sub. The other part of the system is a full 5.1.4 Dolby Atmos setup with Revel C205 center, Revel F206 rears, and Origin Acoustics ceiling speakers. Processing and additional channel amplification is handled by Integra, with an Oppo BDP-105D. Todd’s desire in writing for SECRETS was to share his passion for audio and video with others, and to hopefully inspire more people to enjoy the hobby as much as he does. Tyler's interest in music started at a young age. He began instruction in classical guitar at the age of 7 and gradually progressed towards rock in his early teens. He expanded his musical horizons in college, earning extra cash as a DJ spinning house and trance music and learning the basics of sound reinforcement. Starting with a humble 27" Sony Trinitron CRT television, a Pioneer DVD player, and just two channels of sound, his home theater system has continued to evolve over the years in an effort to recreate the sense of energy and emotional excitement that comes from attending a live performance. Tyler holds a B.S. in Business Information Systems from Lehigh University and will be completing his M.B.A. at the University of Massachusetts in 2009. He is currently employed as a Systems Analyst for a large health care organization in northern New Jersey where his primary specialty is in the area of digital cardiac imaging. Yongki considers himself as an aerospace engineer by day and an audio/home-theater enthusiast by night. Yongki earned his Sc.D a number of years ago and was a member of the Secrets Team, before returning to Singapore for a number of years. He has now returned to the US and is a professor in aerospace engineering; he has published more than 60 technical articles in various aerospace-related journals and conferences. Although known to be an expert in the field of unmanned aerial systems, audio is always his passion. He was involved in reviewing equipment for SECRETS in the early year, and his continued passion for audio has brought him once again to the SECRETS team. Welcome back Yongki! Sumit received a Ph.D. in Computer Science in 1997 and has been working in the software industry in Silicon Valley ever since. He currently works on implementing image processing algorithms for Foveon, a startup company that makes image sensor chips for digital cameras. Prior to joining Foveon, he held engineering positions at Shutterfly and SGI, where he developed software for digital image enhancement and video capture respectively. Sumit enjoys retreating to his A/V room to listen to music or watch movies. He lives in San Carlos, California with his wife and two children, who he hopes will grow up to be audiophiles! Sumit has been a contributor and Senior Editor for Secrets for over 10 years.